Need motivation to get out there and be more active? Or do you just want to have fun and reach your daily activity goals? Either way, this is a great tool that’s easy to use. This is what I recommend for keeping the correct pace when you run or fitness walk. It’s easy to carry and it works great. I’ve had mine for many years and it still works fine! 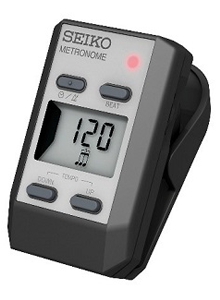 This is the best pedometer I’ve ever used. 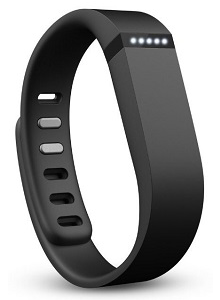 Get one now and start tracking your 10,000 steps a day! Are you having any dental problems? Is your oral health not as good as it should be? In other words, are you spending too much time at your dentist’s office? Then this is for you! This common sense approach to oral health will heal and prevent dental issues! For a long time I’ve been looking for a guide like this, and am thrilled to have found one I can recommend. You’ve heard me talk about being able to understand what your blood tests show, both in regard to your hormone health and your health in general. Now you’ll be able to learn everything you need to know to not only interpret your blood tests but how to bring your levels back to normal! 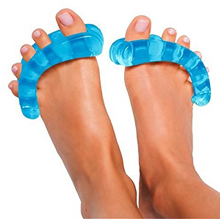 Keeping your feet healthy is essential. Give your feet a vacation and try these. I’ve had mine for many years and use them all the time. I keep this protein powder on hand and use it in smoothies, with fruit and yogurt, and in baking recipes. It’s 100% natural whey with no sugar or artificial flavors. I won’t use powders that have fillers or anything added, so this is my favorite brand. This is the flavor I enjoy best. We all have inflammation to one extent or the other. But if it feels like your joints are acting up, or you have nagging muscle pain, Zyflamend can help. I suggest getting a bottle and trying it for a few months as an experiment. I’m using it now and liking my results so far. Here’s what I use. Everybody knows that through exercising in a gym you can firm up your body and skin. The same is true about the muscles in your face and neck. 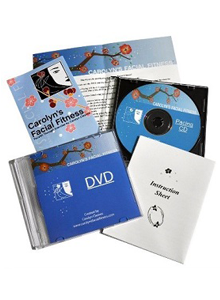 This complete program of facial exercises actually builds muscle fiber that creates lift, enhances the beauty of your skin, and diminishes wrinkles. And it’s fun to do, too! This travel pillow actually works! Do you have kids, grandchildren, nieces, nephews, or kids you know who would enjoy Yoga? ALL kids can benefit and have tons of fun with these videos. I’ve been a YogaKids fan and teacher for many years and can vouch for how wonderful it is to watch children enjoy YogaKids. Marsha Wenig started the YogaKids movement and it’s grown worldwide. Learn more about Marsha here. All kinds of supplements–great quality and great prices. Charlie is the man…tell him Shelli sent you. One of their main products is Willard Water which has too many wonderful properties to explain here. Check it out. If you’ve found Joyinmovement helpful, please show your support by shopping on Amazon. I really appreciate it! Sign up for a free Ebates account! Who doesn’t enjoy cash back when they shop online? If you’re not using Ebates, sign up for a free Ebates account! The Z-Health shop offers so many great choices, you have to look for yourself! If you have ANY questions at all about Z-Health, please let me know. And thanks for showing your support for Joyinmovement by shopping through my affiliate link. I appreciate it! I LOVE to swim. And yet most people don’t. And many people THINK they know how to swim, but after a lap or two they’re exhausted! I’ve been a fan of Total Immersion for 10 years and they are the BEST at getting people to enjoy Happy Laps! Use coupon code JOYINMOVEMENT. Thanks for showing your support for Joyinmovement by shopping through my affiliate link. I appreciate it!